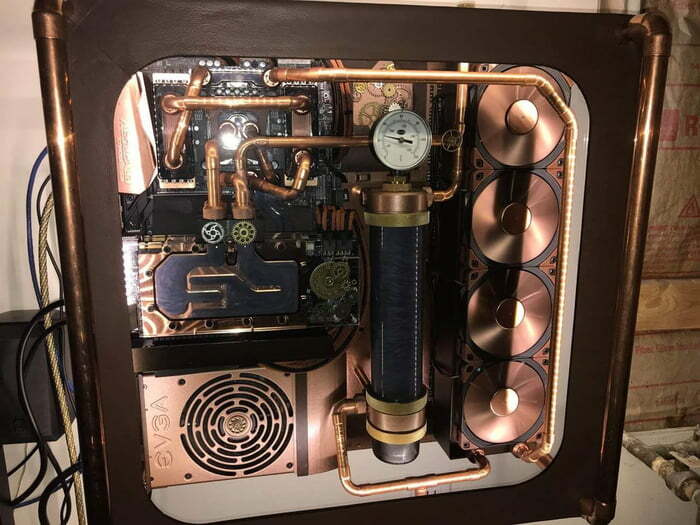 Not mine - but a fine job by someone out there with a love of Steam Punk. There are a few Gears glued on there - but I think I would be willing to overlook that in this case. Nice job, whoever it is! I am agog at the [steampunk] things people do to their computers (and keyboards, monitors, mice etc). It was seeing stuff like this that propelled me into attempting it on a keyboard. Sometimes it's just a few gears glued on (well, one has to start somewhere)...but there is quite a lot that is just stunningly intricate and well done. Some of the best punked computers are done by folks in the Ukraine.